As the science behind nutrition and athletic performance continues to be investigated, the impact of what athletes eat on their performance in their sport is becoming more important. Some nutrients need to be consumed in higher amounts in order to compensate for the increased workload of athletes and/or physically active people. For example, an athlete needs increased amounts of water to maintain adequate hydration status, which has a distinct influence on performance. It is also safe to say athletes expend a much greater energy load than the average person, so they require an increased amount of energy. Macronutrients — carbohydrates, fats and proteins — are energy sources that our bodies run on and help provide fuel during workouts. However, it is not just the amount of energy an athlete is consuming that matters, but the type of macronutrients that the energy is coming from that greatly influences how a person’s body will perform. Currently, many advertising and personal endorsements push the concept that athletes need to eat a high protein diet. At the same time, the need for carbohydrates in regards to exercise may be underestimated, even though they may be key to improving performance. Carbohydrates are essential for all people to consume since they are our body’s preferred form of energy. In addition, as athletes push their bodies to extremes, it is even more important to have enough carbohydrates stored as muscle glycogen. This will help prevent the body from turning to protein to use as an energy source during exercise. The Academy of Nutrition and Dietetics recommends that athletes consume a total of 55-65% of their calories from carbohydrates. Research on nutrient timing shows that consuming carbohydrates before, during and after exercise impacts performance as well as recovery positively. For example, before working out, an athlete should consume smaller meals that are low in fiber and fat to ensure gastric emptying is achieved before they start their training regimen. Carbohydrates are the body’s preferred energy source during more intense exercise, such as when a person is working at 65-85% capacity. Therefore, a pre-workout meal or snack should provide adequate carbohydrates to increase the glycogen stores in the body that can be used during exercise. Because carbohydrates are stored as muscle glycogen in the body, and as the glycogen supply runs low, the body can become fatigued and the athlete will no longer be able to perform at its best. The Academy of Nutrition and Dietetics states that athletes who have consumed meals that included 200-300 grams of carbohydrate 3-4 hours prior to exercise showed enhanced performance ability. However, if the athlete is eating closer to the time of training, this intake amount would be too much to consume. Closer to training, it is recommended that 15-25 grams of carbohydrates would be more appropriate. Post-exercise nutrition is critical as well, in order to aid the body in recovery and avoid injury, and carbohydrates are needed to replace glycogen stores after exercise. The Academy of Nutrition and Dietetics also recommends a carbohydrate intake of 1.0-1.5g/kg body weight during the first 30 minutes after exercise and then every 2 hours for 4-6 hours. Biofortis Clinical Research conducts many studies that look at how our bodies use and react to various carbohydrates. 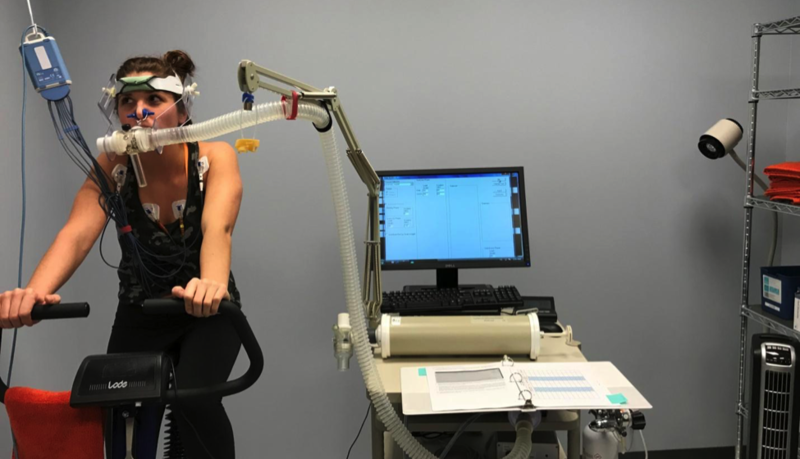 For example, we are currently conducting a sports performance study that is testing how different types of carbohydrates impact exercise performance. This study includes two exercise challenges, one at baseline, or prior to consuming the study product, and a second after consuming one of the carbohydrate test foods for a total of 24 days. During the exercise challenges, participants will be exercising at 70% of their maximum workload, which is within the range of the work capacity where your body relies on carbohydrates for fuel. If you or someone you know is eager to see if your body can perform better after increasing your carbohydrate intake and is located in the Chicago metropolitan area, fill out our survey here to see if you qualify! By participating, you will receive your VO2max, which indicates the maximum amount of oxygen your body can use during exercise, and learn more about your health and fitness status. Biofortis Clinical Research is Mérieux NutriSciences’ global research organization serving innovation in food, nutrition, health and consumer goods. The Biofortis nutrition science team provides exemplary expertise and insight to study sponsors in support of new ingredient studies such as bioavailability, tolerance and safety. Our track record proves we can collaborate with leading key opinion leaders in study fields of cardiovascular, metabolic, exercise physiology, cognitive function, satiety, weight loss and nutrition. Are you interested in conducting a clinical trial? Contact us to get started today. Erica is a Clinical Research Coordinator at Biofortis Innovation Services, a wholly-owned subsidiary of Mérieux NutriSciences. Located in the Chicago area, Biofortis is a Contract Research Organization (CRO) providing clinical research, sensory & consumer research, and literature assessment services to the dietary supplement, food and pharmaceutical industries. A majority of Erica’s time is spent with subjects and handling regulatory matters. Her main responsibilities include ensuring subject safety throughout the research studies. 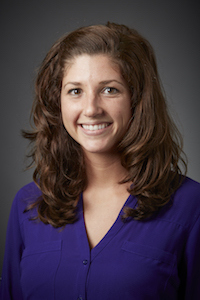 She completed her dietetic internship and Master’s degree at Benedictine University in Lisle, IL, and has an undergraduate degree in nutrition from Illinois State University.